0.1 Spending this month on our beautiful island? 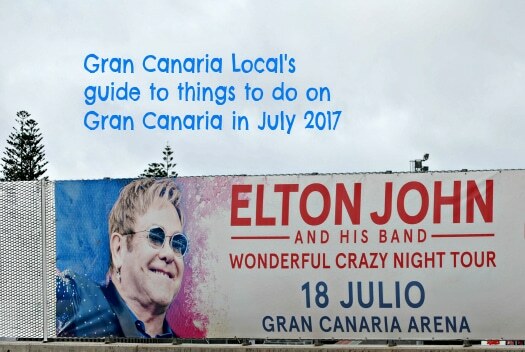 We reveal our top tips on topical things to do on Gran Canaria in July 2017. Strap yourselves in for a rollercoaster ride of a post with loads of brilliant suggestions. Spending this month on our beautiful island? 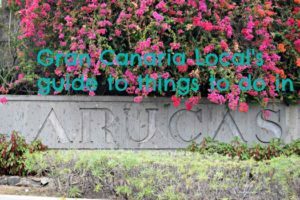 We reveal our top tips on topical things to do on Gran Canaria in July 2017. Strap yourselves in for a rollercoaster ride of a post with loads of brilliant suggestions. 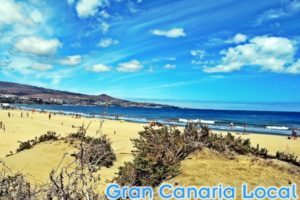 Sadly, we can’t list all the things to do on Gran Canaria in July 2017. But, to quote our main man Don Letts, it’s another Gran Canaria Local selection. Crossing time, space, and place. Head to the capital for the majority of things to do on Gran Canaria in July 2017 such as the 21st Festival de Teatro Música y Danza, TEMUDAS, which runs from Thursday 6th July to Saturday 5th August. There’s colourful theatre from the likes of France’s Compagnie Plasticiens Volants, music from Diego El Cigala who adds fiery flamenco to make his salsa sizzle still further, and dance from Granada gyraters Zen del Sur. Most events are free but the ones for which you have to pay to enter, you can buy through entrées.es. From the Friday 7th to Sunday 9th July, style gurus La Brújula take over Ciudad Jardín‘s Pueblo Canario. 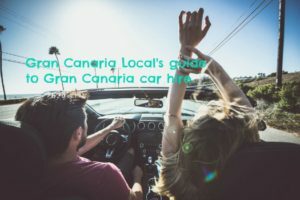 As the Canarian Village hosts Big Bang Vintage Festival. Three free days feature 11 concerts from such luminaries of the country swingers scene as Barcelona’s Jodie Cash Fingers, five DJ sets including one from Las Palmas de Gran Canaria’s very own Jimmy Wilde, and two burleque shows from London’s Chiqui Love and, all the way from Italy, Miss Satine. Friday 7th July also sees the start of the 26th Festival Internacional Canarias Jazz y Más Heineken. Running until Saturday 22nd, this is held in locations across the Canary Islands. Including Vegueta‘s Plaza de Santa Ana, Triana‘s Teatro Pérez Galdós, and Las Canteras‘ Auditorio Alfredo Kraus. Artists we recommend looking/listening out for are the genre-defying multi-instrumentalist Jacob Collier, uptown funkers Cory Henry & the Funk Apostles, and the expansive sounds of the Gran Canaria Big Band. Classical music buffs will enjoy consecutive Friday-night performances (7th and 14th) from the Orquesta Filarmónica de Gran Canaria at the Alfredo Kraus auditorium. First up, Italian conductor Oleg Caetani wields his baton to oversee a programme of Brahms, Dvorák, and Hayden. The following Friday sees Germany’s Clemens Schuldt take over the conductor’s role. Further musical diary dates in Gran Canaria include a trio of shows at Siete Palmas’ Gran Canaria Arena and surrounding area. Elton John and his Band bring their Wonderful Crazy Night Tour to our shores on Tuesday 18th July with tickets available from 63,50€ with Mastaquilla. 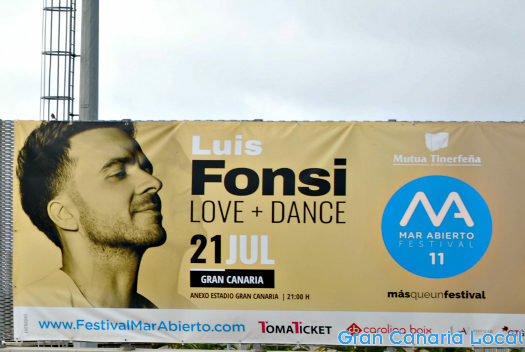 Friday 21st and it’s the turn of Señor Despacito, Luis Fonsi, whilst the next night sees tickets for the more old-school salsa of Rubén Blades available from 35€. Then there’s the Dirty Rock Fest. This event in one of Mr Gran Canaria Local’s fave venues, The Paper Club, celebrates six years of online Spanish music magazine, Dirty Rock. Pay 8€ in advance or €10 on the door to be blasted away by noisesmiths Ginés Cedrés, Said Muti, and The Cassavetes. 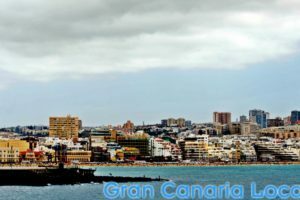 6:45pm on Saturday July 8th is the time of Gran Canaria capital’s latest Sofar event. The place holding this secretive Songs From a Room concept is announced the day before but you don’t know who you’re going to see until they pitch up on stage. Apply for a +1 if you want to enter the lottery of securing a ticket. In Vegueta, there’s a new exhibition at San Martín Centro de Cultura Contemporánea from Thursday 13th featuring the oeuvre of post-conceptual artists such as Cristina Déniz Sosa. Over in mother gallery CAAM, they’re screening Australian artist Shaun Gladwell’s latest video, Skateboarders vs Minimalism, from 6th July to 27th August. On the other side of town in Centro de Arte La Regenta, new photographic exhibition Parade (running until 28th October) features images from grey-matter agitator: Teresa Arozena. Nearby in Avenida Mesa y López, you can see the prize-winning entries for the recent Concurso de Fotografía Rapida from Saturday 1st July. Whilst in Tiramisu, in Guanarteme’s Calle Lepanto, Saturday evening means gig night. We’re particulary drawn towards Cape Verde singer-songwriter Adé da Costa on the 8th and Blues-tinted rock from The Sordos on the 15th. On the edges of the capital, in San Lorenzo, there’s the usual mix of the sacred and the secular at the Fiestas Patronales Nuestra Señora de la Milagrosa. The perfect marriage of the two comes at the Roméria de la Milagrosa on Saturday 8th. Where the locals don traditional Canarian costumes and hand out free food. On the same day, Santa María de Guía‘s La Dehesa holds a romería in honour of patron saint, Nuestra Señora del Carmen. Whilst on the other side of the GC-2, Gáldar dedicates the whole of July (Saturday 1st to Monday 31st) to its patron saint: Santiago de las Caballeros. But this most canarii of municipalities embraces its pre-Spanish past with a gala election of aboriginal royalty Guayarmina Bentejuí from 9:00pm on Saturday 8th in the municipal capital’s Plaza de Santiago. Teror plays host to its XI Festival Internacional de Saxofón y Jazz from Monday 24th to Friday 28th. Neighbouring Valleseco’s Zumacal ends its half-month-long Fiestas en Honor de Nuestra Señora del Carmen with a fun foam party in the Plaza de Iglesia at 5:30pm on Sunday 16th July. And in Arucas, the religious acts of the celebration in honour of the patron saint, San Juan Bautista (John the Baptist), spill over into July. So there’s a mass and procession at 6:30pm on Saturday 15th July in the municipal capital. Then on Sunday 23rd July from 12:30pm, there’s a mass and procession paying reverence to Nuestra Señora de Lourdes in Visvique. Followed by a La Montañeta mass and procession held in tribute to their lady Carmen. Autosports fans will lap up the III Rallye Comarca Norte de Gran Canaria. This takes place on Friday 7th and Saturday 8th. The rally crosses the northern municipalites of Agaete, Arucas, Firgas, Gáldar, Moya, and Santa María de Guía. In San Bartolomé de Tirajana, Pure Yoga Canarias‘ Karla Vergaray will be offering free hourly dynamic yoga and meditation sessions in July and August. These start at 9:00am on Fridays at San Agustín‘s beach and at the same time on Saturdays at Playa del Inglés‘ CC Anexo II. The Playa de San Agustín’s also the venue for the third Maspalomas Costa Canaria Soul Festival from Friday 28th to Sunday 30th, with freebie shows from such soul men and women as Willie Walker and Barbara Blue. The Centro Insular de Turismo at Playa del Inglés’ Yumbo shopping centre finds space for two other things to do on Gran Canaria in July 2017. Up until Saturday 22nd, you’ll be able to visit Pino Hernandez’s Perfiles whose colourful canvases bring island architecture and landscapes to life. And on Friday 28th at 8:00pm there’s a freebie concert from Germán López on timple (Canarian ukulele-like instrument) and guitarist Yuniel Rascón. Above the resorts, there’s the Feria de Cervezas Artesanales Canarias in Centro Cultural El Tablero. This Canarian craft beer festival will allow you taste the likes of Altopalato, Cerveza Chutney, and Jaira Cerveza Artesana brews. There are also musical performances from Ochentour and Playacoco at an event which starts at 6:00pm on Saturday 8th and goes on until the other side of midnight. This cultural centre in Calle Venezuela is also running a photographic exhibition until Friday 28th. Foto Gran Canaria will be displaying Sisco Rúbies’ Rincones de Arucas. The launch is on Friday 7th, between 8:00pm and 9:00pm. Down in San Fernando, Restaurante Etiopico Afrika is holding three events on consecutive Friday nights. First up is La Noche del Tarot on the 14th, from 8:00pm. Then there’s Noche de la Bellydance on the 21st at 8:30pm. Last on the agenda is Noche de Danza Tribal from 8:00pm on the 28th. Make your way to Santa Lucía de Tirajana‘s Pozo Izquierdo for the Gran Canaria Wind and Waves Festival which takes place from Saturday 8th to Sunday 16th. On the 8th, there’s a concert from the gloriously in-your-face Santo Machango with the World Windsurfing Championships scheduled to start the next day. The 15th is when they hand out the tropies to the prize-winning windsurfers. Starting on Monday 10th, Ingenio‘s XII Festival Internacional de Folklore goes on until Sunday 23rd. There’s food, music, and dance from around the world. From Portugal’s Azores to Indonesia’s Jakarta. You can buy tickets for the two main performances on Friday 21st and Saturday 22nd through entrées.es. In Mogán, there’s a romería with a difference on Sunday 16th July. As there’s a maritime procession to accompany the Fiestas en Honor de Nuestra Señora del Carmen, the patron saint of sailors. A boat carrying her statue leaves Argíneguin at 11:30am heading to Puerto de Mogán. The municipality of Telde hosts six major romerías in July, fun and free things to do on Gran Canaria in July 2017. On Saturday 8th, there are pilgrimages in El Goro, Las Huesas, and Marpequeña. Whilst a fortnight later, the religous parade craze hits Hornos del Rey, Las Bachilleras, and Punto Fielato. In next-door’s Valsequillo, Saturday 15th sees the Canary Islands’ only Vertical Kilometre event. The Kilómetro Vertical may seem short. But you have to bear in mind competitors are travelling the distance non-vertically. It’s a pretty dry month on both the weather and events front in central and western Gran Canaria. In Vega de San Mateo, you have until Sunday 9th to see artist Chano Grimón‘s Polimetría Geosentimental exhibition at La Calderata Sala de Exposociones. 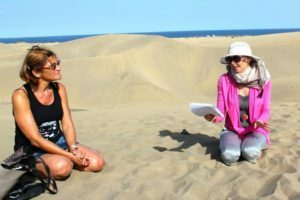 Tejeda‘s Finca La Isla houses the second Festival de Verano de Kundalini Yoga Experience, which completes our round-up of things to do on Gran Canaria in July 2017.